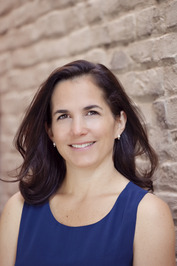 Anne Drapkin Lyerly, MD is the author of A Good Birth: Finding the Positive and Profound in Your Childbirth Experience. She is also an obstetrician, an Associate Professor of Social Medicine and the Associate Director of the Center for Bioethics at The University of North Carolina at Chapel Hill. Widely considered to be an expert in women's health, she lives in Chapel Hill, North Carolina with her husband Kim and their four boys. "I wish I had this book years ago. Pregnancy and birth can be a stressful time when it really doesnt have to be. First time mothers would benefit from this book greatly." We’d love your help. Let us know what’s wrong with this preview of A Good Birth by Anne Lyerly.